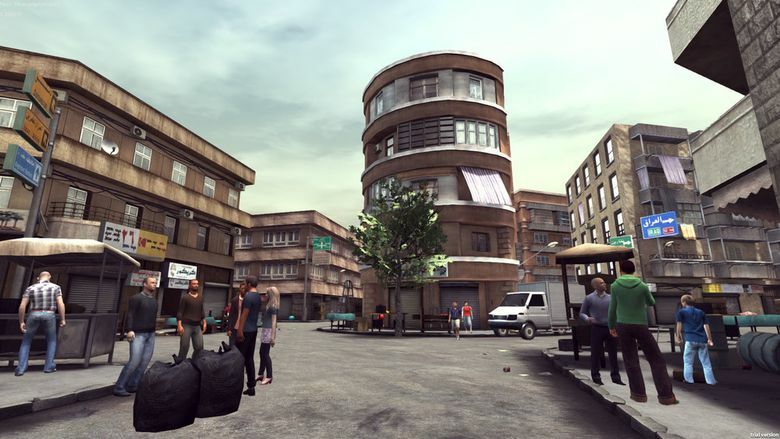 Viewers of “Project Syria,” by Nonny de la Pena and University of Southern California’s Interactive Media Lab, uses VR goggles to place virtual visitors inside the world of a Syrian citizen caught in the conflict. A new four-day festival within the Seattle International Film Festival, SIFFX, will explore virtual reality (VR) and why it matters. While Seattle International Film Festival (SIFF) is appealing to Seattle’s tech population with a new four-day sub-festival focused on virtual reality (VR), SIFFX isn’t just for technologists. Joe Chen, the executive technical producer of VRSE, a Los Angeles virtual reality studio, says for VR to reach its full potential, it needs artists. Thursday-Sunday, June 2-5, various locations at Seattle Center; prices vary, from free on up; (www.siffx.net). SIFFX, which starts at 7 p.m. Thursday (June 2) at The Dome at the Pacific Science Center, will show off several VR projects, augmented reality (AR) and 360° immersion. If you’re new to VR, it’s the re-creation of an environment, real or imagined. It’s designed to make you feel like you have ownership over what you are watching. You are effectively the camera operator, the director and the actor — an immersive viewing experience. The festival will feature screenings, panels and talks at The Dome and the SIFF Film Center. The VR/AR exhibits, where you can try out a VR headset, will be nearby at the X Gallery and the Nonny de la Peña Pavilion at 305 Thomas St. You can buy tickets for any of these on SIFFX’s website. The speakers include Tom Furness, the “Grandfather of VR” and founder of the Human Interface Technology Lab at the University of Washington, and de la Peña, called the “Godmother of Virtual Reality,” known for her work integrating VR and journalism. Chen and Kel O’Neill, a VR filmmaker, will talk at noon Thursday at The Dome about 360º cinematography and VR storytelling.